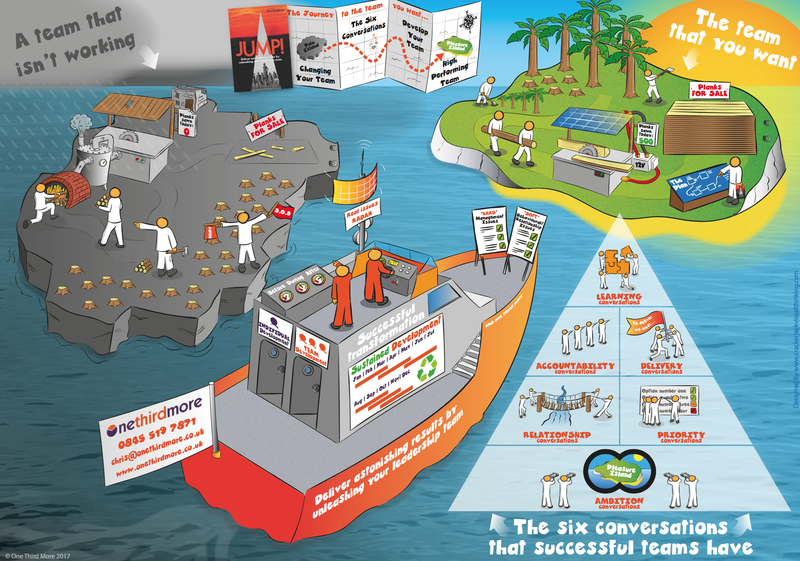 “John from Crackerjack Visual Thinking was commissioned to create a rich picture depicting our strategy. In doing so he engaged with the team, not only offering suggestions, but importantly he listened to what we felt was important. He then seamlessly weaved this into the working document in a very timely manner. He was very quick to respond and worked flexibly in terms of time and method of communication. We found that most of the work could be carried out over the telephone or email, but when we requested that he visit us, John didn’t hesitate to make the long journey. “In 2015 when we were planning our conference, we wanted to do something different. Something that delegates would remember and something that we could use after the delegates had all gone. We found Crackerjack and loved Johns engaging style of capturing concepts and ideas in a visually engaging way and knew this would give us what we were looking for. During the conference John was an integral part of the event. Live drawing became a feature of the conference and the resulting 3m x 1m landscape was a colourful representation of the key points made that industry should focus on. Afterwards with the landscape duly scanned into a digital image, we could easily share the conference outputs with delegates and our wider audiences. It was immediately used on social and during 2016 was integrated into other marketing and communication activities. Because the design was adaptable, we could use the graphic in full or in sections to focus on key points we wanted to talk about. Fast forward to the end of 2017. We were having a tidy up in the office and found the original landscape drawing John created at our 2015 conference. The digital version had worked hard for us but there was still something exciting about seeing the original artwork again. Too good to simply discard and the concepts and issues captured are still relevant to the industry so we decided to get it framed to hang in our meeting room. “We wanted to show how quarrying impacts the environment in its day to day operations throughout the total lifecycle of the site as well as show the full range of career opportunities the industry offers. The rich pictures had to be graphics that could take highly complex geological, engineering and business processes and present them in a way that anyone could understand and hopefully be inspired by. That was our brief to John Ashton at CrackerJack. John then worked closely with us and our members to map the key process and information areas relevant to the messages we wanted to convey. Part of the process involved spending time onsite at a quarry so John really took the task on to understand our world. I have attached the summary of the feedback from our 23rd September Teenage and Young Adult Conference and as you can see you scored really highly! Crackerjack Visual Thinking = 148/150 (note: some people had wanted to award more than the 5 marks available for your work!!!). I think what you do definitely enhanced our day and it is clear that other participants agreed. Am sure we will work with you again. “We asked John to come and support our company conference, both to capture the content and spirit of the day and also to interact with our colleagues and gather their responses and reactions. It was wonderful to see the graphic unfold as we followed the journey of the day and as the day came to a close the graphic was looking amazing. We will print and frame copies of the final graphic at our sites as a reminder of the key messages and our day together. “John attended the launch event of Active Everyday; a physical activity referral programme for people affected by cancer in Sheffield. The project is funded by Macmillan Cancer Support and Sport England. The event included a diverse blend of delegates, including clinicians, nurses, researchers, commissioners, and people affected by cancer. The programme included many different speakers all promoting the benefits of physical activity for people with cancer. I asked John to attend the event because I wanted a creative way of providing delegates with an overview of the day. The finished piece was extremely well received by the attendees and John was able to explain his artistic vision from what he had heard throughout the event. I now have a great piece of work that I can share with everyone from the event and for events in the future. John was very easy to work with and accommodating to my requests. I would certainly use him again for future events and would highly recommend him to others. Apologies I didn’t get to say thank you in person! However, I got home yesterday evening at around 11pm and the first thing I did, much to my wife’s annoyance admittedly!, was to open the graphic and look at it properly. And I have to say it was pretty emotional. Seeing the hard work that went into bringing the event to life, being told in the way you captured it, was a real joy. And the fact that my wife could then tell me how people attending the day had felt just by viewing it, showed what an exceptional piece of work it is. Thank you very much and it was a pleasure to work with you, a thoroughly professional experience from the moment we first spoke. “We all know that one of the key pillars for effective change management is to have good communication. We have tried many different ways of getting key messages to our workforce and are always looking for new and innovative ways of engaging with them. The important thing for us was not only to achieve effective communication but also to gain buy in of the direction in which the business was heading, the future challenges we faced and their part in this. We wanted to make it real and for them to feel part of the journey. Working with John Ashton at Crackerjack Visual Thinking, we were able to put the corporate message across along with employees views and opinions in a unique imaginative style. We have found that this really makes people want to understand what has already been achieved and ultimately where we would like to go. “John attended our All Staff conference which focused on our new University strategy. 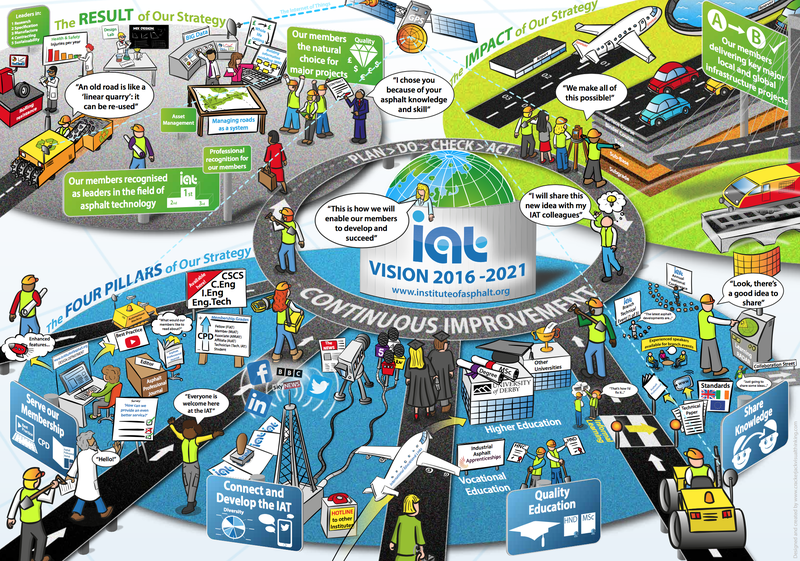 It was important to us that we had visual record of the day as it panned out and of the initial feedback which the strategy received. John attended workshops and plenary sessions, he visited stands and stalls in our Market Place, constantly picking up themes and information to include in the final visual. John worked on the visual throughout the day in the main entrance to the University where people passing by were able to see his work in progress. By the end of the day we had a fantastic visual record of the day, brilliantly incorporating the feel of the conference, the architecture of the university and, most importantly, the engagement with and initial feedback from staff to the strategy.